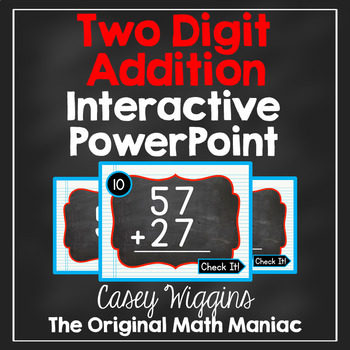 This PowerPoint provides an engaging way to review adding 2-digit numbers! 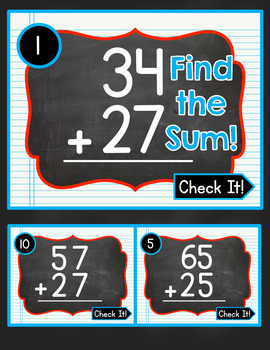 You can assign students a particular strategy for solving these problems or allow them to choose! 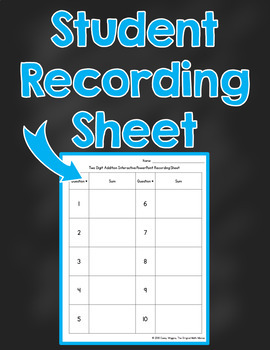 There is also a Recording Sheet included for accountability. You could also have students use their math journals for a NO PRINT option! Please download the preview prior to purchasing this product to see a sampling of what is included.